This is the question most often asked, by both buyers and sellers. The truth is nobody knows for sure, but the market usually leaves clues. Sometimes the market leaves strong clues a kindergartner can figure out, and sometimes they’re more obscure only a tea leaf reader might understand. So what clues is the market leaving right now? Median single family home sale prices are up about 10% over last year in June. July numbers haven’t been released yet. Prices are down .31% over last month, so we’ll call that about even. Home sales are down 12% over last year, but home sales are up 2.81% over last month. As you can see by the attached chart, last year home prices rose steadily in 2nd half of the year, perhaps due to the home buyer tax credit, low interest rates, and bargain buys in the SW Florida market. Prices continued to rise this year right up until the home buyer tax credit ran out. Is this coincidence? We don’t know. Some speculate it is due to the expiration of the tax credit, others speculate it could be effects from the oil spill, while still others wonder if it’s not the economy and the job situation. Perhaps it’s all three, or perhaps its simple supply and demand at equilibrium in this new economy. Banks have slowed down bringing bargain homes to the market, and we’ve long wondered what will happen to our market when the bargains are gone. Because we don’t have sustained employment opportunities, it seems almost impossible for prices to shoot up drastically once the distressed sales are gone. The distressed sales are not gone; it’s just that foreclosure listings have slowed recently. We’re hearing that FNMA has more properties coming to the market soon, and we have seen a slight jump in pre-listed foreclosures we’re working right now. We’ve also seen a slight increase in short sale transactions, although not enough to make a dent. HAFA, the government program designed to make short sales easier to sail through with the banks has been a huge flop. It’s almost to the point the government should stop trying, because they’re making things worse. Last year the government intervened and tried to instill loan modifications and workouts, but it was a flawed theory and failed miserably. 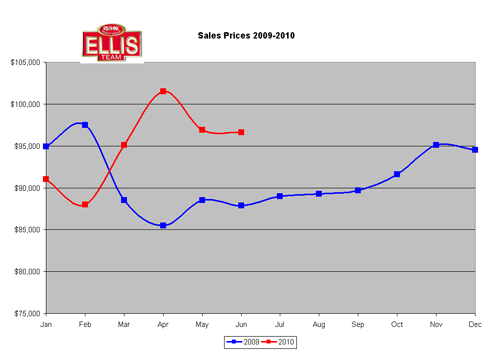 Because of this, we said 2010 was the year of the transaction either a short sale or a foreclosure. Short sales have not worked like intended. It was a voluntary program and had no teeth or real chance. It was just an arbitrary deadline designed to make the politicians look good, but now they just look bad. Right or wrong, this all leads up to more eventual foreclosures. We believe more are coming, and they take time to work through the process. The Lee County Clerk’s office has been working down the backlog of files lis pendens, and this is a good sign. Unfortunately, there are more to come. The stimulus has not worked, nor has the governments plan to revive housing. It’s time for a new plan, a plan that can actually work. We invite local, state, and federal officials to sit down with those on the street and think about the big picture. Theory should align with reality, and implementation should be realistic, and have teeth. Otherwise politicians are kicking the can down the road, prolonging the housing crisis, and adversely affecting the economy. Housing is 32% of GDP, so it makes sense to work on a comprehensive solution that helps both, not one that sounds good for votes but does nothing. Where is our market headed? We’ve identified some clues, and maybe there are others. You can read the tea leaves and decide for yourself which elements will win out. We can say we have record low rates, below replacement cost prices, and affordability is at an all-time high. So if a buyer has a job, has good credit, and wants to buy, now is a good time. I just want to get more people good jobs so more people can take advantage of this market. Posted in Southwest Florida Real Estate, SW Florida Bank Foreclosures.Tagged Cape Coral real estate prices, Fort Myers real estate prices, HAFA, Lee County Florida real estate.